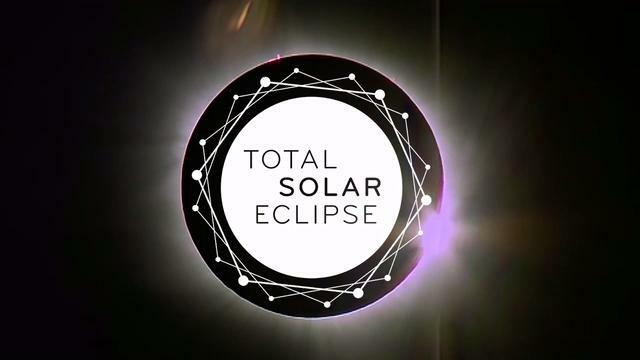 This July 2, the Exploratorium continues its 20-year tradition of bringing live images of eclipses to you—we’re traveling to Chile’s Cerro Tololo Observatory to broadcast a total solar eclipse visible overhead from parts of South America. Experience the wonder wherever you are: enjoy our live broadcast, available in both English and Spanish on our free iOS and Android apps and this website, or come to the museum in San Francisco to enjoy the big-screen broadcasts in person, in addition to a data-driven sonification of live telescope images by composer Wayne Grim and other eclipse programming. Check out our Live Stream Help page to find out how to share or embed our live streams into your website or blog. Ver partes de este sitio web en Español. 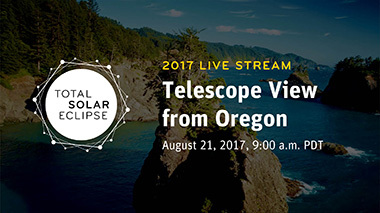 Telescope and live coverage feeds will also be available via U.S. domestic satellite. Details available soon. 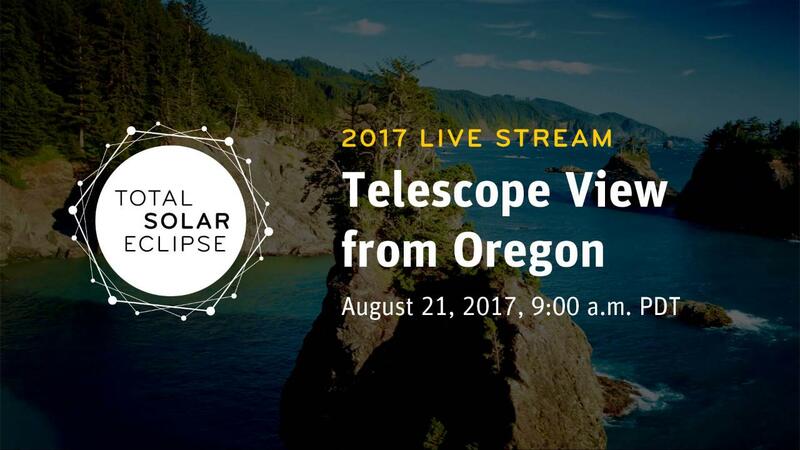 For eclipse videos and much more, explore our video collection. 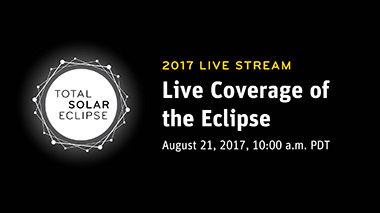 Our 2017 eclipse livestream video coverage and Total Solar Eclipse mobile app were awarded both the Webby Award and People's Voice Award for Best Film & Video - Events and Live Streams and Best Mobile Sites & Apps - Events categories in the 22nd Annual Webby Awards! To view the 2019 total solar eclipse, you’ll have to be somewhere within the light brown stripe stretching across the countries of Chile and Argentina on this map. This “path of totality,” where the darkest part of the moon’s shadow hits the Earth, is only 70 miles wide. Viewers outside that band will see a partial eclipse. How do we know when an eclipse is going to happen? This video explores how eclipses can be predicted and investigates a repeating series of eclipses known as a Saros cycle. 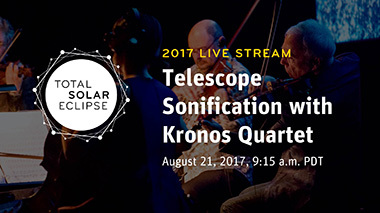 With the help of the world-famous Kronos Quartet, Exploratorium composer Wayne Grim will turn the total solar eclipse on August 21 into a musical performance like no other. Find out how they'll pull it off. Watch the moon pass through its phases as we count down to the total solar eclipse. Tonight: a full moon. Para las personas que estarán en la franja de totalidad durante el eclipse, les brindamos algunas indicaciones para que puedan aprovechar al máximo su experiencia. A total solar eclipse is a cosmic coincidence with stunning visual effects for viewers on Earth. What causes this extraordinary phenomenon? 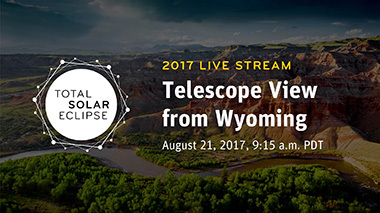 SPONSOR: This live stream was made possible through generous grants from NASA. This material is based upon work supported by the National Aeronautics and Space Administration under Grant No. NNX16AB96A issued through the Science Education Mission Directorate. Any opinions, findings, and conclusions or recommendations expressed in this material are those of the author and do not necessarily reflect the views of the National Aeronautics and Space Administration. PARTNERS & COLLABORATORS: We are proud to work with the following organizations to bring you this live stream: NASA and the Parker Solar Probe mission, Meade Instruments/Coronado, and Magnetic Image Video. 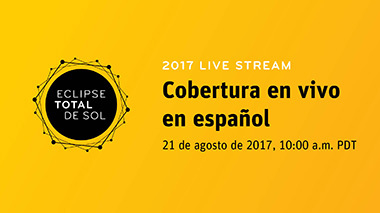 Our Spanish-language livestream has been graciously provided by the Moore Foundation.